Nvidia and Asus have announced three new 3D PCs at Computex this week, with a gaming-ready laptop leading the 3D charge in Taipei. 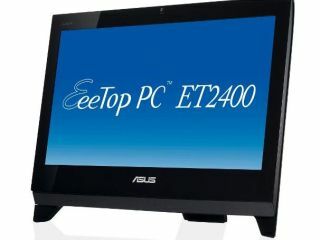 Asus has unveiled the G51Jx-EE 3D laptop, in addition to the 3D-ready Eee Top ET2400 and CD5390 tower PC. All three machines will ship with 120Hz displays and active shutter 3D glasses and discrete graphics processors from Nvidia. The G51Jx-EE laptop and the EeeTop ET2400 both house the IR transmitter that syncs Nvidia's stereoscopic shutter glasses with the view on the screen, as does the CG5390 desktop rig Asus were touting. Though judging from another pricey, AMD-based rig it showed off in a later presentation that day, that's unlikely to see the light of day along these shores any time soon. Unfortunately though there was little new coming from the Nvidia press conference despite talk pre-show about the imminent arrival of the GTX 465, vaguely mainstream Fermi graphics card, or the vaguely touted GTX 490, fully functional GF 100-based card. The GTX 465 is instead left to the actual manufacturers like MSI to announce. It was full of design wins of last year, covering the Optimus, battery-saving tech, the second-gen ION chip and Tegra 2's importance for the rise of the tablet PC. But definitely not anything to do with how CUDA and its PhysX API are doing in today's marketplace.